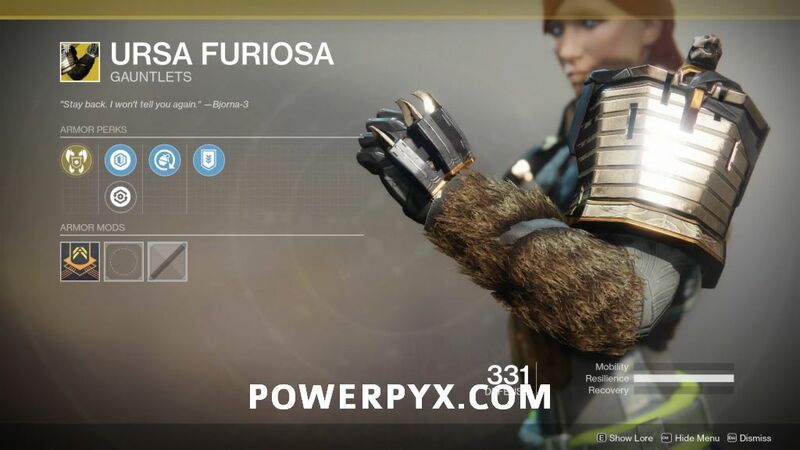 The Ursa Furiosa is an Exotic Gear Piece for Titans in Destiny 2: Forsaken DLC. It is a random drop from exotic engrams. 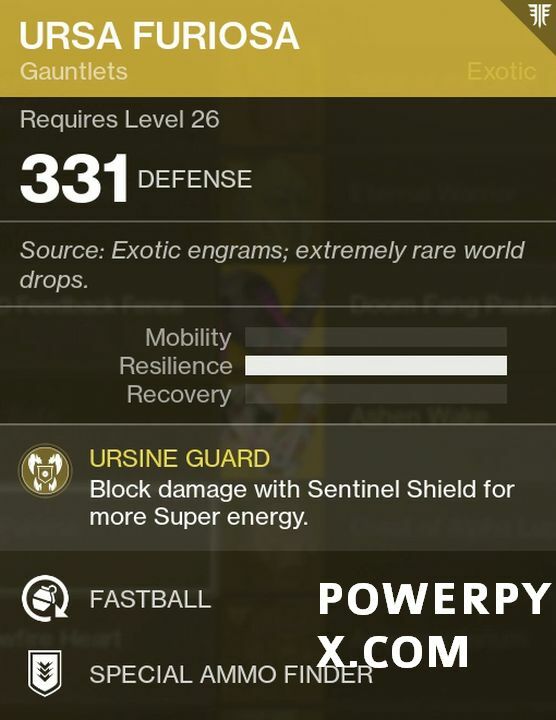 Special Ability: Ursine Guard – Block damage with Sentinel Shield for more Super energy.